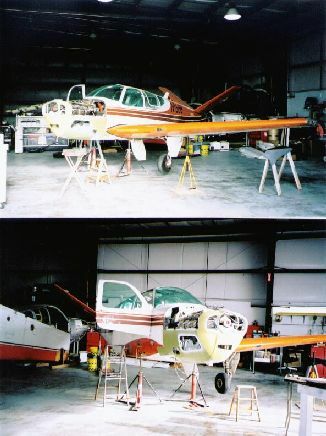 Beechcraft G35 Bonanza structural repair | AVSTAR Aircraft of Washington, Inc. Initial inspection of this G35 disclosed major structural problems, including a wrinkled firewall. The determination was made to disassemble and truck this project to the shop. The left wing needed a new end rib, aft inboard skin, and fairing. 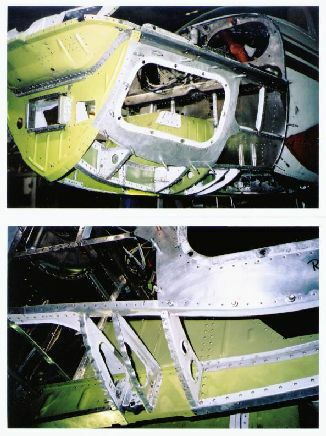 The right wing needed only repair to the rib and a new fairing. 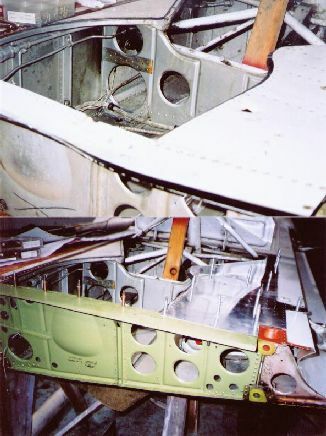 Approximately 85% of the engine mounting structure required replacement, as well as the lower firewall; so it was all removed. A new basket was assembled, firewall section fabricated. 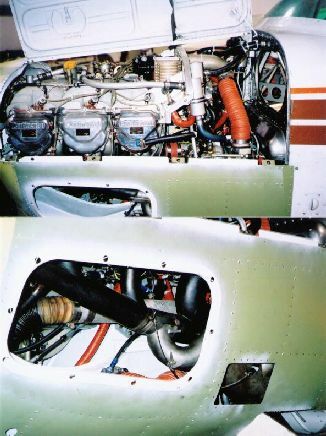 Note this aircraft had previously been converted to the 260 engine, by Hammock Aviation in Texas. 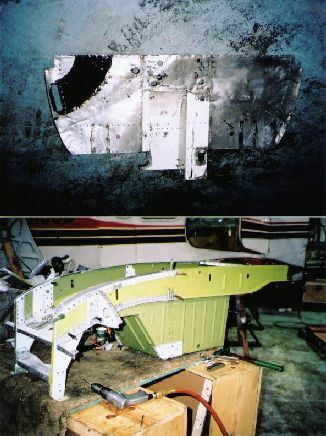 Installation of the new firewall section and engine mounting structure, then new cheek skins and nose bug. 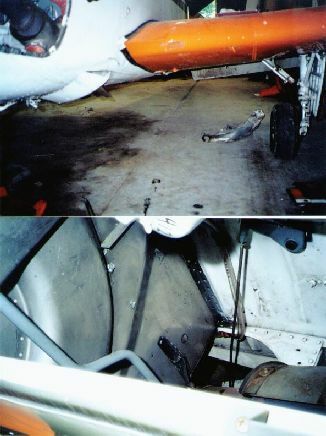 The engine was inspected and repaired by P-Ponk Aviation. 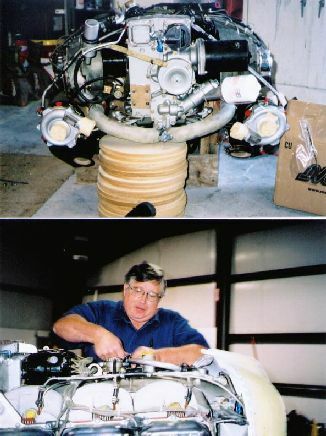 With some help from Mark's Welding in Kapowsin, Ray's Welding in Texas, and Tyler Hall from Wind-Dancer Aviation, a twin-pack of Rajay Turbo's were installed; Ahh, the memories.... Marv works on some of the installation details. As we've experienced before, the turbo installation does eat up quite a bit of space. With apologies to Mr. Peppard; I love it when a plan comes together! Wings reinstalled, landing gear and control systems all rigged. Several other items accomplished including all new sound-ex insulation, some avionics changes. On the first flight, no abnormal rigging problems were encountered; in fact, the only big problem was an oil leak that was easily repaired.